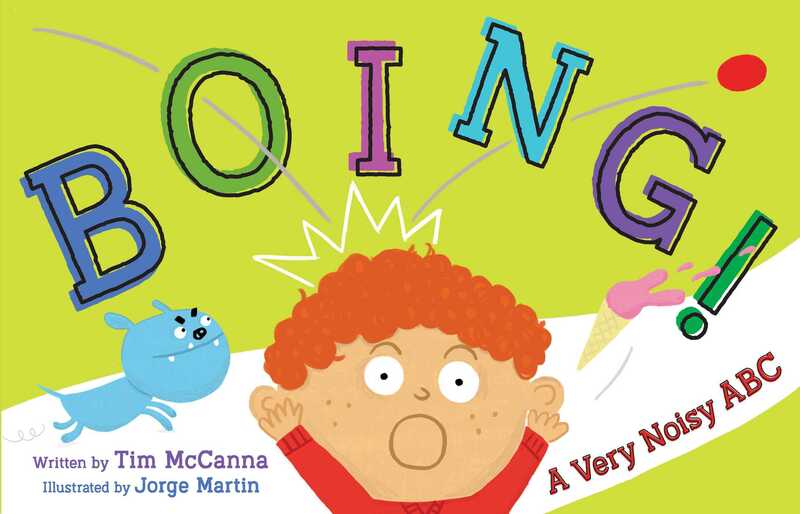 Xavier follows a bouncing ball on an onomatopoeia-filled alphabet adventure in this quirky new picture book from Tim McCanna! That ball is loooooong gone. Will Xavier get it back? Follow the letters of the alphabet as the ball bounces and wreaks havoc through the city and find out! Tim McCanna is the author of Bitty Bot, Bitty Bot’s Big Beach Getaway, and Watersong, which was called a “joyful, gorgeous book” by Booklist. When he’s not writing books for children, Tim enjoys volunteering for SCBWI and taking trips to the beach. Tim has worked in advertising, written musicals, and played accordion in several bands before becoming a children’s book author. He lives in San Jose, California, with his wife and two kids. Visit him at TimMcCanna.com. Jorge Martin grew up drawing compulsively on any surface available to him. Since then, he has done many different things in his life, including cycling to Mongolia, studying at London’s Central Saint Martins and Kingston University, and working in innovation and advertising. He made his picture book debut with I’m Hungry, which is about a newly-hatched dragon who goes on a hunger rampage. He is also the illustrator of A Cat Is Better by Linda Joy Singleton and Fairy Tale Pets by Lacey Corderoy. Originally from Spain, he has lived in San Francisco, Mexico City, Hamburg, and London. Learn more at JorgeMartin.org. The flow from spread to spread is clever, fluid, and active, with much to point and giggle at. . . . Be ready for some rousing read-alouds! Book Cover Image (jpg): Boing!